We are so over the 16:9, 4:3 and 16:10 camera formats. 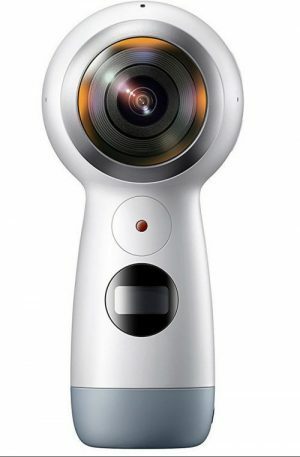 The world is embracing 360 degree cameras as they literally capture the world around us. This space has grown recently, and the market is flooded with these amazing cameras. While we plan to capture the landscape around us, we need to evaluate our options according to the resolution, stitching, the number of lenses and so much more. 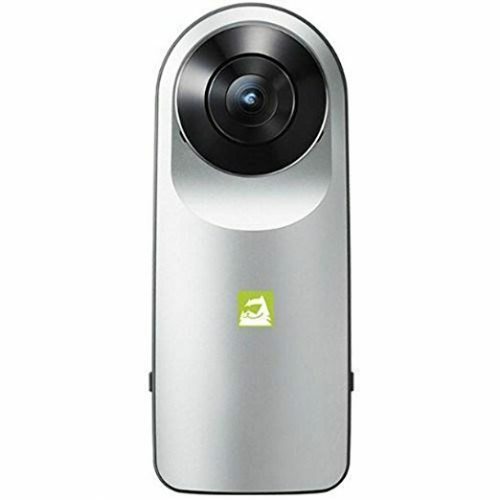 Let’s have a look the best 360-degree cameras on the market! This 360-degree camera creates stunning videos and photographs. The camera is extremely user-friendly, and the media format is compatible with almost all the social platforms. Ricoh Theta S digital camera is very compact and is the best traveling partner. This camera features a 12-megapixel sensor resolution and has an output size of 14 megapixels. This camera is equipped with 1/2.3 inch image sensor. LED status notification is available on the body of the device providing a quick switch between movie mode and still images. Full HD videos at 30 fps and an inbuilt memory card of 8 GB is an addition to the camera. Live streaming is available with both USB or HDMI cord, and the Wi-Fi speed has been an upgrade to 8 MBPS. Samsung gear facilitates the user to capture every angle at once. Users can share what they capture, on social media instantly. This camera is known to take two 180 degree wide angle lenses shots simultaneously. This camera gives you a 4K resolution for the video and 30 MP for photographs. 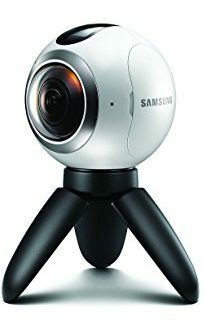 Samsung Gear 360 is dust and water resistant. MicroSD card is needed to operate but is not available with the package, supports up to 256 GB microSD card. This camera features F2.0 lenses allowing the user to capture clear and vivid content. 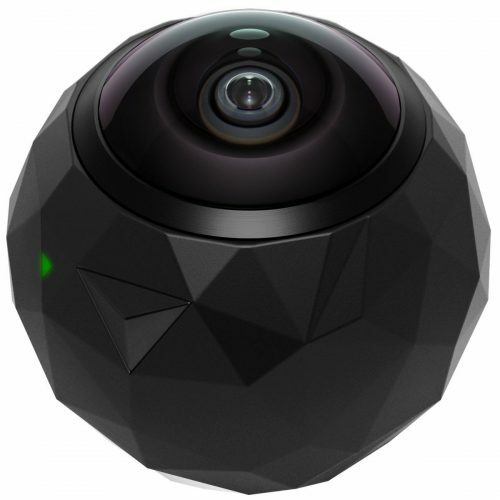 This spherical camera is a good partner to experience your word in 360 degrees. Media recorded with this 360-degree camera is compatible to be uploaded to google street view and youtube360. This 360-degree camera flaunts two 13 MP sensors in addition to two 200 degree wide angle lenses to capture photos and 2K videos. This camera has three microphones that can record 5.1 channel surround sound. The battery capacity of this camera is 1200mAh. This camera is microSD compatible. It is very lightweight as it only weighs 2.72 ounces. This camera offers four times the resolution of normal HD, and the best thing is that it fits in your pocket. That meaning you can carry it in any festive crowd or family trip. Samsung Gear makes Editing and sharing very easy and quick. You can capture a brilliant 4k video and 15MP photos with this camera. This gear is water resistant and very easy to hold, opening the door to whole new activities. You can experience your videos and photos in Samsung VR. The package contains the gear, USB cable, strap and a pouch. The battery capacity of this camera is 1160mAh. 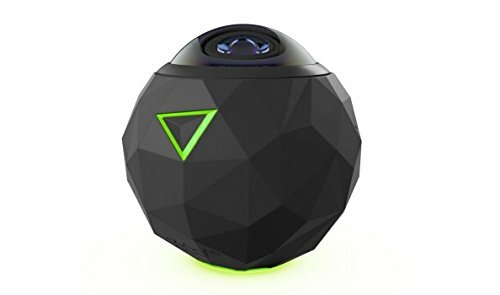 This 360-degree camera is the best fit to experience fully immersive and interactive 360-degree videos. This camera is all about the active lifestyle and makes sure that your captured moments are worth cherishing. 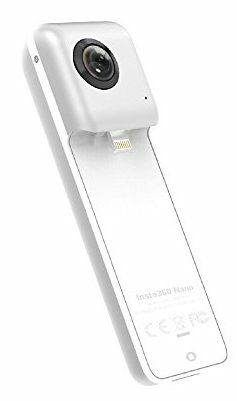 This camera lets you work using your smartphone and supports IOS 9 or Later as well as Android 4.4 or later. This camera has a 1504 x 1504 resolution with 32 GB internal memory. The camera is dust-proof, waterproof and jitter-proof. QuickTwist mount secures the camera with just a twist and click. The package contains the 360fly camera, action camera adapter with tilt mount and flat baseplates, Mic plug and strap, power cradle and USB cable. This 360-degree camera is an amalgamation of innovation and creativity that enables your smartphone to be your viewfinder, editor, controller and so much more. This camera is compatible with most iPhones, iPads and Android devices. The camera is laced with the 16-megapixel image sensor. The video resolution 2880 x 2880. The 4k video is easily transformable into Mobile VR experiences. This camera goes from recording mode to POV mode and vice versa, with ease. This camera is a supplement to your Apple phone so that you can capture every direction, all at once. World’s first spherical video camera is here to make sure that you experience every dimension of videography and photography. The camera is compatible with iPhone 6 and above or can be used alone. The camera offers a resolution of 3040 x 1520 resolution at 30 fps. 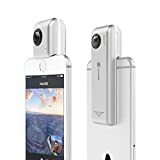 Insta360 Nano 360 degree camera is equipped with dual 210-degree fisheye lenses. The camera supports sharing media directly to social networking sites. The package comes with a free app, 360 players/studio/plugin, VR cardboard. This 360-degree camera is in the market with a different focus. The camera ensures security surveillance and is loaded with features which makes it the modern equivalent of traditional surveillance cameras. The camera is equipped with the fisheye lens with no blind area. With its IR function, the camera can light up to 65 ft and is automatically activated with low light. The IR mode ensures a resolution of 1280 x 960. 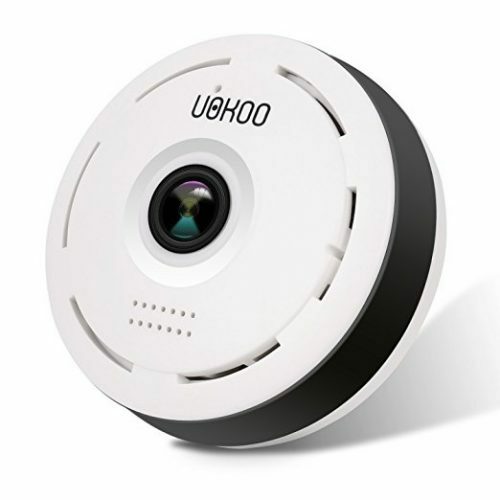 With its motion detection features, the camera notifies the user about movements. The setup is easy, and the camera can be used for IOS and Android. Available in blue, pink, white and yellow, this camera is very compact and lightweight. The camera has two lenses, one on front and one on back ensuring a 360-degree spherical panoramic image in just one shot. The resolution for photospheres is 3584 x 1792. This camera supports spherical videos up to 3 minutes in duration. The videos from Ricoh Theta can be shared instantly on social media. The app comes with a video tool wherein you can change the size, shape, and composition of the video. This camera ensures fast Wi-Fi transfer, wireless sharing and is equipped with an SDK. The highlight of this 360-degree video camera is its stabilization technology. With its integrated horizon leveling technology, the videos are stable and steady. The camera is very compact yet very powerful. This camera captures stunning videos in 4K. The picture-in-picture captures a moment in action by highlighting your facial expressions. 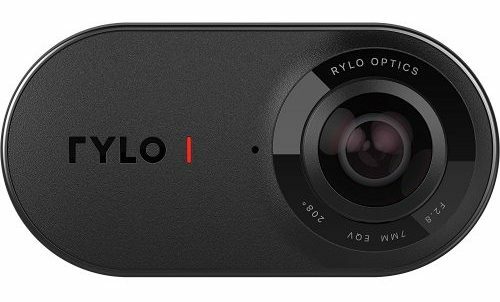 The camera can create moving time lapse by speeding Rylo’s stabilization video. The camera supports finger tap to pan left or right for a perfect frame. 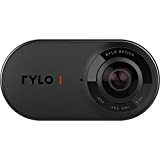 The package contains Rylo 360 degree, pouch, sync and charging cables, everyday case, camera, battery pack, 16 GB memory card. If you have wanted to bid farewell to your old camera, this is a perfect time. Keep up the pace and choose the best among the listed cameras. Enjoy your memories in 360 degrees and never miss the landscape around you. Now you can add more to your selfies and embrace the world around you.